First Man is a phenomenal movie. One we highly recommend watching. After hearing about the film while listening to CBC Radio we were excited to see this remarkable journey. Follow the gripping and captivating true story of the first manned mission to the moon in FIRST MAN. 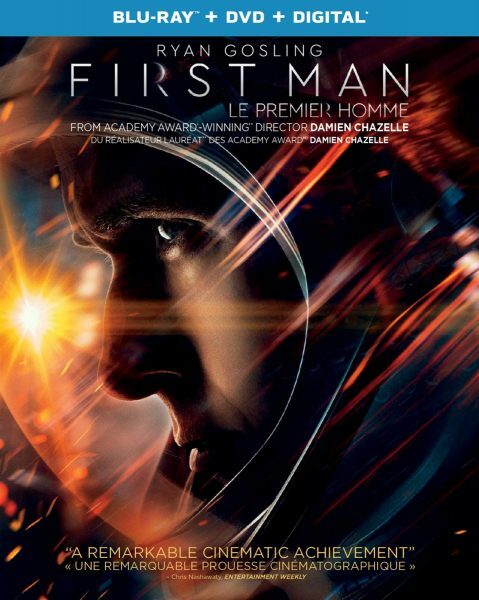 Hailed by critics as “the best movie of the year” (Collider) and “exhilarating” (Entertainment Weekly), FIRST MAN comes from acclaimed Oscar®-winning director Damien Chazelle (La La Land, Whiplash) and stars Ryan Gosling (La La Land, The Big Short) as Neil Armstrong and Claire Foy (“The Crown,” Breathe) as Janet Armstrong in the heroic and emotionally driven journey through a pivotal moment in the history of mankind. Receiving two Golden Globe® nominations for Best Supporting Actress (Foy) and Best Original Score (Justin Hurwitz), the critically acclaimed film is packed with bonus features including deleted scenes and special featurettes showing behind-the-scenes looks at creating the film. A visceral and intimate account told from Armstrong’s perspective, the film explores the triumphs and the cost—on Armstrong, his family, his colleagues and the nation itself—of one of the most dangerous missions in history. The critically acclaimed FIRST MANcomes from legendary executive producer Steven Spielberg (Jurassic World: Fallen Kingdom, Schindler’s List) alongside fellow executive producers Adam Merims (Baby Driver, Straight Outta Compton) and Josh Singer (The Post, Spotlight) with a screenplay by Singer allowing audiences to relive the historic achievement in human history that has never been told cinematically. Filled with outstanding performances from an all-star cast led by Gosling and Foy alongside an incredible roster of supporting talent including Kyle Chandler (The Wolf of Wall Street, “Friday Night Lights”), Jason Clarke (Zero Dark Thirty, Mudbound), Corey Stoll (“The Strain,” “House of Cards”), Pablo Schreiber (Skyscraper, “Orange is the New Black”), Christopher Abbot (“The Sinner,” Whiskey Tango Foxtrot), and Ciarán Hinds (“Game of Thrones,” Tinker Tailor Soldier Spy), FIRST MAN “explodes with cinematic wonder” (Inverse). Astronaut Training – Go behind the scenes of the three-day boot camp each of the actors underwent prior to filming FIRST MAN. Have you seen First Man? Tell us all about it in the comments. Grab some delicious snacks – we recommend our Air Fry Corn Tortilla Chips, or make a batch of our Homemade Slow Cooker Bits and Bites. Looking for something sweet? We think our Waffle Maker Donuts or Cherry Coke Cupcakes would be perfect. I am looking forward to seeing this movie because I have heard wonderful reviews about it. I enjoy Ryan Gosling’s acting as well. I love Ryan Gosling and it would be very interesting to see! I’m looking forward to seeing First Man because I enjoy watching Ryan Gosling! 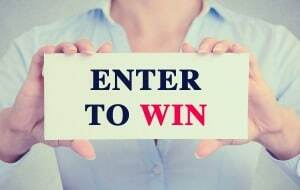 I would love to win this to watch with hubby. I am looking forward to seeing First Man as the movie is about space and Ryan Gosling is in it. I heard it was excellent and would like to see the relationship between the main characters. i love ryan gosling so can’t wait to see this! I am looking forward to seeing this movie because it sounds like a good one, and I like the actors in it. I am looking forward to the movie as I have heard wonderful reviews!